On a really warm day (wonderful!) all I could hear today were dogs panting! With me today were my own 2 dogs Holly & Ivy, Zola, Boris, new girl Lily and Laddie & Meg. Lily had a ball today, running about the moor, playing with all the dogs. 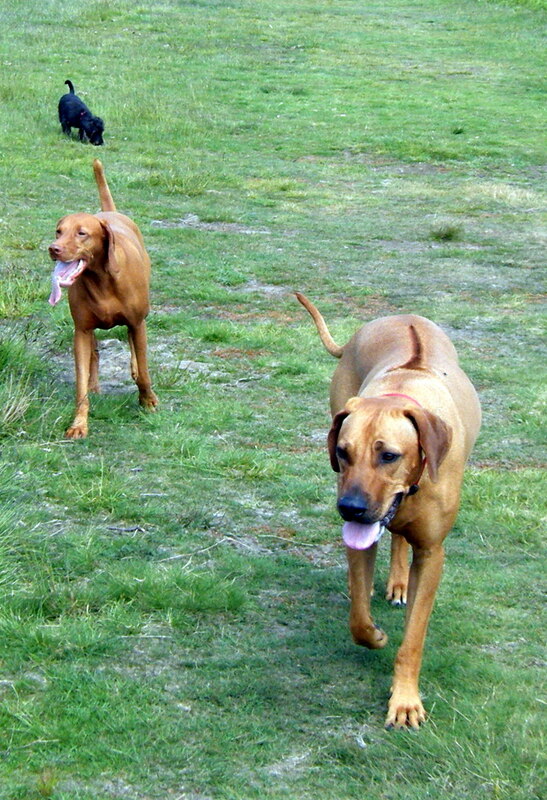 It’s especially funny when she chases Zola (the Ridgeback). Today was the last walk for 3 weeks for Laddie & Meg as they are going on holiday……..I will miss my black labs and their antics , but hope that they have a good time!